Roughly two out of three people lack access to electricity in Sub Saharan Africa, making the region a global outlier with respect to electric power. In 2013, the Obama Administration launched an initiative entitled “Power Africa” to combat this power crisis. The goal of Power Africa is to use transaction-based support and finance to increase power generation and access in sub-Saharan Africa as a means of bolstering economies and increasing quality of life for those currently without access to power. 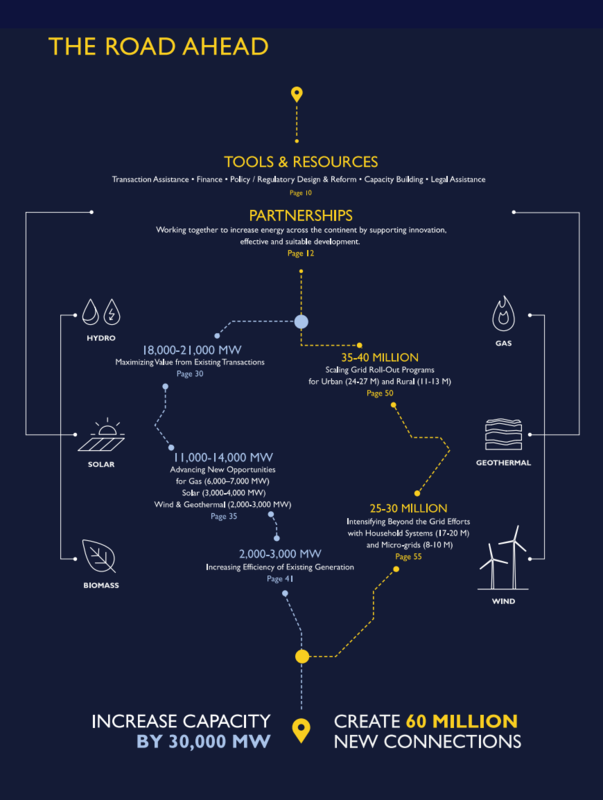 The initiative partners closely with the private sector to construct new power generation facilities and reach the end goal of adding 30,000 MW of power production and connecting an additional 60 million households and businesses to electricity. Power Africa faces many obstacles in this endeavor. Having set very lofty goals, Power Africa has thus far delivered less than promised in its mission. What it has delivered is largely misplaced: most current power distribution systems in sub-Saharan Africa are ineffective, negating the potentially positive effects of additional power generation. Distribution systems that are well-maintained will receive much of the additional power, which does nothing to help those who are not already connected to the grid. With its many private sector partners, Power Africa may do more to provide payouts for investors and energy companies than aid sub-Saharan Africans. Moreover, the motivations of Power Africa backers are unclear, and potentially place the benefit to American job growth over the needs of the poor without access to electricity. Additionally, Power Africa’s focus on policy reform imitates problematic historic interactions between the West and African colonies. Sub-Saharan Africa is a global outlier with respect to electric power. Roughly two out of three people lack access to electricity in the region, and Sub-Saharan Africa is the only place in the world where “per capita consumption of electricity is actually decreasing over time.”1 In response to Africa’s power crisis, the Obama administration launched an initiative called Power Africa in 2013. Power Africa’s ambitious goal is to increase the capacity of power generation in Sub-Saharan Africa to 30,000 megawatts and the number of connections to the power grid to 60 million.2 To accomplish this large undertaking, the initiative collaborates with government agencies, financial experts, and private businesses to complete power project transactions and refine regulatory frameworks. Power Africa’s partnership with the private sector is a new approach to economic development in Africa. Though optimistic about achieving its goals, Power Africa faces many challenges with its new strategy and has the potential to repeat past mistakes of Western aid to Africa. With the introduction of private investors into the equation, the initiative will likely encounter conflicts of interest. When mission values interfere with profit, the initiative will be tempted to side with their private partners over the needs of Africans. In fact, the focus on profitable power generation projects suggests that the initiative is already catering to its rich private investors. To be successful, Power Africa must not only combat the problems generated by its private partners, but it must also account for the common ethical mistakes of African aid. Viewed through this lens, the initiative’s mission to restructure regulatory framework appears problematic. The West has a long history of disruptive intervention in Africa that pridefully imposes its culture and customs on African communities. This power initiative must take great caution to ensure that its regulatory reform does not reproduce past errors of colonialism by trying to fit the West’s model of capitalism on African regulatory bodies. To be effective, Power Africa must set realistic expectations and goals, understand and address the root cause of Africa’s power problem, place the needs and interests of Africans over corporations, and involve Africans in the process of change. Is Power Africa Fulfilling Promises? Fortunately for Power Africa, government corruption in Africa can pose a significant scapegoat for its shortcomings. In 2015, in a public acknowledgment of Power Africa’s failure to meet expectations, Obama laid the majority of the blame on “debilitating governance failures” plaguing the affected countries.7 Obama’s denial of fault highlights a problematic and historical perception of the incompetent African who hampers the effort to help by the Western savior. This dynamic allows the West to exaggerate their positive influence and not take responsibility when things go sour. Power Africa can continue to provide, in Obama’s words, “a light where currently there is darkness” without being accountable for not delivering promised results.8 In addition to Power Africa not fully realizing its goals, it is also unclear whether the goals it has set for itself are properly tailored to addressing the root cause of energy poverty. Is Power Africa Addressing the Real Problem? Considering these facts, why would Power Africa invest its time adding power to a broken system that does not help the poor, unconnected African? One can imagine two potential reasons. First, as in many historical examples, development organizations and aid workers are ignorant of the underlying problem. At best this ignorance causes aid to be ineffective, but in many cases, it may exacerbate the original issue. Given that the Power Africa initiative is a part of the well-connected and well-funded USAID, it is unlikely that the program was designed in total ignorance. The second and more probable reason for the focus on power generation has to do with the unique structure of Power Africa. Private investors can earn a safe return on power generation projects backed by international guarantees. To further mitigate risk, private investors can hand over operations to local actors once the power plants are commissioned and save operating hazards.3 Naturally, Power Africa would promote low-risk investment projects to maximize the number of private investors involved, but in doing so, it ignores the problem of faulty distribution systems. Who Does Power Africa Really Help? In some cases, the language used to describe Africa in the context of financial returns is eerily similar to its commodified description in colonial times. The CEO of Rickly Hydrological describes Africa as “an important part of our business plan.” The official Power Africa Annual Report lauds Power Africa for helping to “develop new opportunities for U.S. commercial partnerships in some of the fastest growing markets in the world.”10 While these statements may be factually accurate, the sentiment behind them is misguided and serves to commodify, in a sense, the African electricity crisis. The government officials and private sector actors involved in Power Africa’s transactions need to be soberly aware that the lack of electric power in sub-Saharan Africa is a real problem affecting the individual lives of real people. It is not simply an opportunity to make profits. 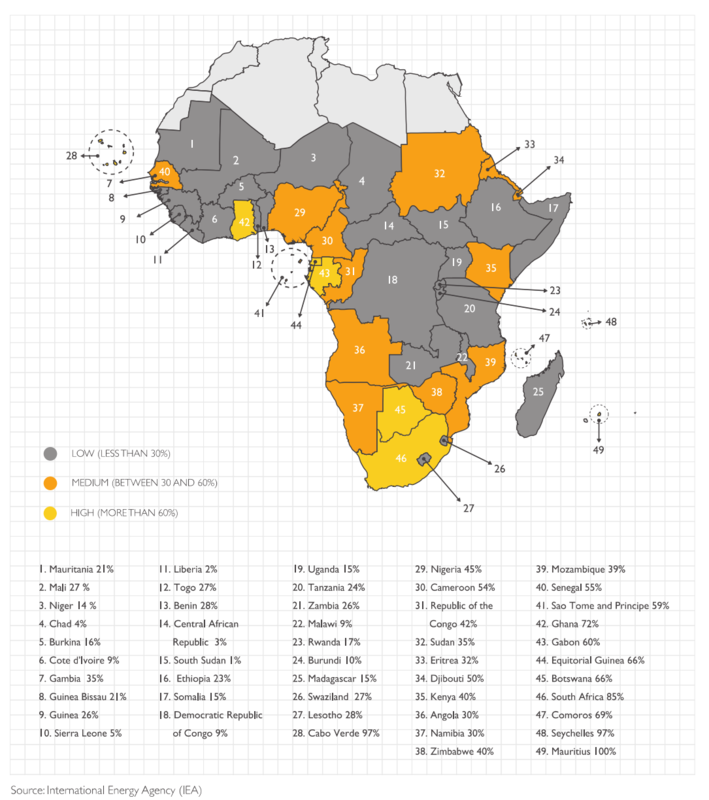 What is Power Africa’s Goal in Regulatory Reform? Given the strategic focus that Power Africa places on private sector investment, it follows that increasing private sector friendliness in participating African nations is a central facet of the work that Power Africa does. To that end, Power Africa maintains a “Toolbox” of different organizations, banks, and governmental groups to assist in development work. The goal of the 160 different entities comprising the Toolbox is “to unlock obstacles facing private sector power deals in sub-Saharan Africa.”12 The six major categories of assistance provided by Toolbox resources are transaction assistance, finance, policy/regulatory design and reform, capacity building, legal assistance, and informational resources. Of particular interest here is the focus on regulatory reform in sub-Saharan African nations to be more conducive to private business and investment. Regulatory reform is discussed at length in the Power Africa “Roadmap,” a document released by USAID to explain the strategy behind the Power Africa initiative. Describing the nature and goals of reform, the document states: “… We work with governments that demonstrate the political will to implement difficult but necessary reforms, reduce corruption, prioritize commercial viability and financial soundness of the sector, open their energy markets to private investment, and improve the design and management of their power sectors”.2 In analyzing the value of this approach, it is necessary to scrutinize the motivations and historical implications ingrained within. The notion of restructuring African nations’ economic governance is problematic on two fronts. First, as discussed previously, the primary beneficiaries of such restructuring are Western companies securing construction and power distribution contracts in Africa. Although it could be argued that Power Africa’s overall goal of providing electricity to powerless areas of Africa hinges on regulatory reform allowing for more private sector generation, a great amount of care must be taken to ensure, again, that the primary focus of the regulatory reform in African nations is fulfilling the needs of those nations’ citizens and not benefiting corporations. The second problem behind the regulatory reforms lies in its reminiscence to the introduction of capitalism in colonial times. During the colonial era, and even during post-colonial missions, Europeans coerced African societies to adopt forms of European commerce alongside Christianity and other tenets of Western culture in attempts to “civilize” indigenous peoples. Implicit in this push for Western cultural conversion was a mindset of paternalism and racism. It is not a difficult mental leap to see a shadow of paternalism in Power Africa’s regulatory reform Toolbox. The imposition of Western private sector friendly economic policy as a tacit prerequisite for the installation of modern power distribution infrastructure is a subtle rehash of the colonial mindset. This is not to say that any amount of regulatory reform is unacceptable. However, great care must be taken to avoid repeating mistakes and evils undertaken in the past. First, any reforms introduced should be tailored by lawmaking bodies in the affected countries to suit the cultural and political necessities of the country and its people. Western financiers and legislators, however educated, cannot possibly understand the best way to change economic policies in African nations in ways that are sensitive to the social and cultural needs of the population. Second, the reforms must be focused on the fulfilling the needs of the nation’s people and not on delivering profit to power companies. If the emphasis is placed on serving the needs of power and infrastructure corporations in the West, then the entire endeavor will become nothing more than a modern-day colonial extraction economy. What Can Power Africa Do Better? The Power Africa initiative has set out to help alleviate the adverse effects of a real problem. The increasing need for infrastructure development, especially in Africa, is very well recognized.3 However, to address these needs in a productive way, those involved in the Power Africa initiative need to ensure that they are conducting themselves with very high ethical standards. The needs of the sub-Saharan Africans must be placed first and foremost, coming before delivering returns to stakeholders and the American ego. They should be worked with in developing any sort of reform plans rather than having change imposed on them, and investors must take care to understand the issues facing unpowered parts of Africa rather than exploiting the growing energy market for profit. If these practices are incorporated into Power Africa’s implementation, it has the potential to be a genuinely helpful and empowering initiative. Brower, Tom. “Shango Unchained: State In(Capacity), Urban Bias, and the Power Africa Initiative,” Brazilian Journal of Public Policy vol. 5, no. 3 (July-December 2015): p. 146-178. United States, Congress, “The Roadmap.” The Roadmap, USAID, 7 Nov. 2016. www.usaid.gov/powerafrica/roadmap. Mitter, Siddhartha. “What Can Barack Obama’s ‘Power Africa’ Program Achieve?” Africa Is a Country, 10 Apr. 2015, africasacountry.com/2013/07/what-can-barack-obamas-power-africa-program-achieve/. “How We Work.” U.S. Agency for International Development, USAID, 9 Dec. 2016, www.usaid.gov/powerafrica/howwework. Moss, Todd, and Morgan Bazilian. “Signaling, Governance, and Goals: Reorienting the United States Power Africa Initiative.” Energy Research & Social Science, vol. 39, 2018, pp. 74–77. Bazilian, Morgan, and Roger Pielke. “Making Energy Access Meaningful.” Issues in Science and Technology, vol. 29, no. 4, 2013, pp. 74–78. Stern School of Business, and New York University. “Beyond Economics: Governance and Infrastructure Development.” The Infrastructure Finance Challenge, edited by Ingo Walter, 1st ed., vol. 3, Open Book Publishers, Cambridge, UK, 2016, pp. 39–46. JSTOR, www.jstor.org/stable/j.ctt1sq5v21.10. Walsh, Bryan. “Blackout: 1 Billion Live Without Electric Light.” Time, Time Inc., 5 Sept. 2013, business.time.com/2013/09/05/blackout-1-billion-live-without-electric-light/. Hogarth, Ryan, and Ilmi Granoff. “Speaking Truth to Power.” Overseas Development Institute, May 2015, pp. 1–32. United States, Congress, Power Africa. “Power Africa Annual Report.” Power Africa Annual Report, USAID, Aug. 2017. www.usaid.gov/powerafrica/annualreport. McDonald, David A. Electric Capitalism: Recolonizing Africa on the Power Grid. Routledge, 2016. USAID. “Power Africa Toolbox.” U.S. Agency for International Development, USAID, 27 Feb. 2018, www.usaid.gov/powerafrica/toolbox. Safe drinking water: business or charity?